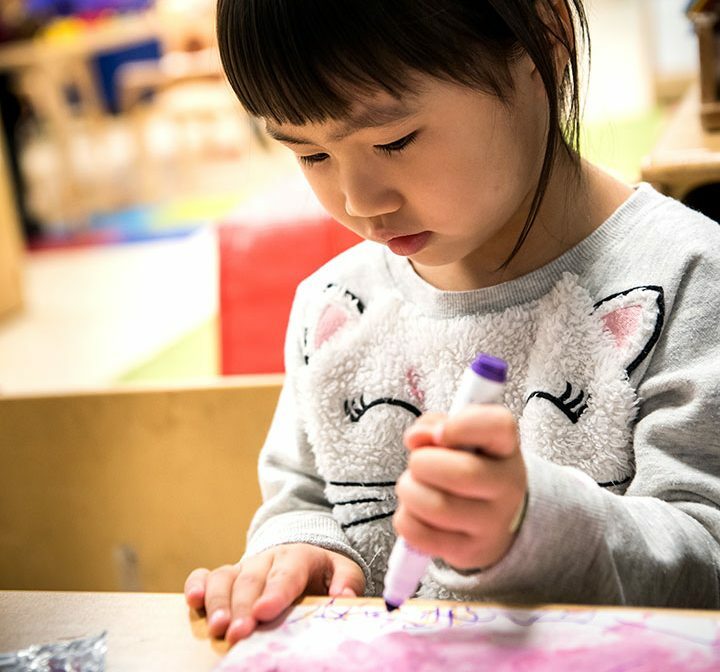 Our inclusive program combines Bank Street’s educational philosophy with New York State Prekindergarten Learning Standards. Our approach emphasizes the use of open-ended materials in the classroom and defines the teacher in the classroom as a facilitator of learning. 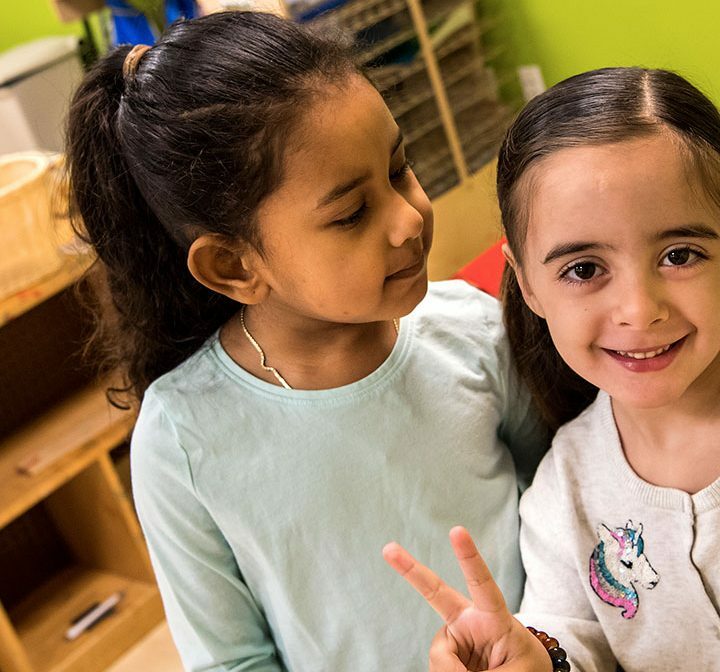 As Bank Street is an inclusive setting, children with special needs are fully integrated into our ADA (American Disabilities Act) compliant classrooms. 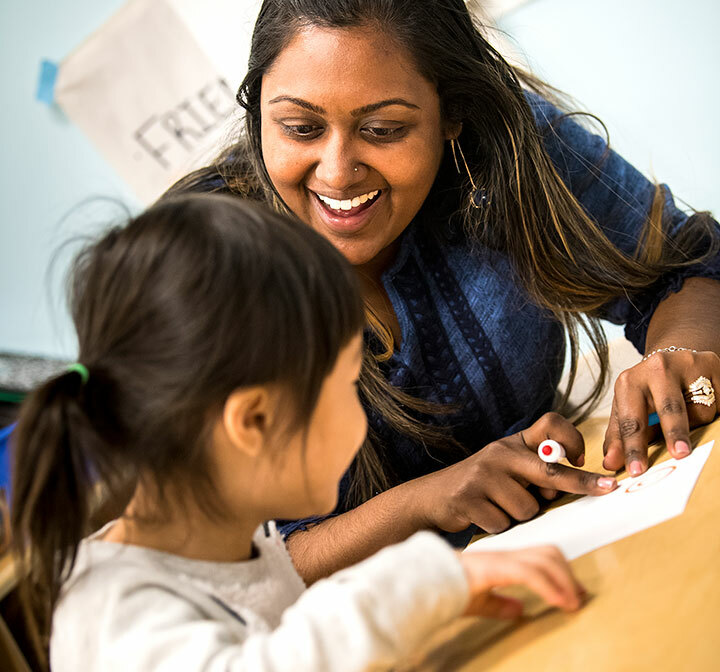 Teachers individualize activities to build on each child’s strengths and to meet each child’s physical, emotional, and cognitive needs. 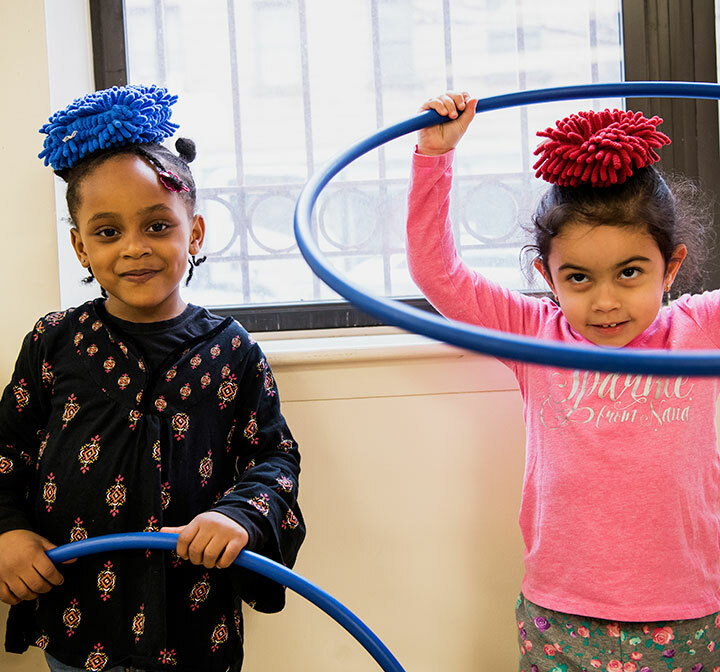 Children learn to make connections between home and school, build trusting relationships with others, and learn how to be a part of a group. To nurture their sense of community as an important aspect of social-emotional development, children take trips to other classrooms and around our neighborhood. We encourage children to express themselves, their ideas, their feelings, and their experiences. 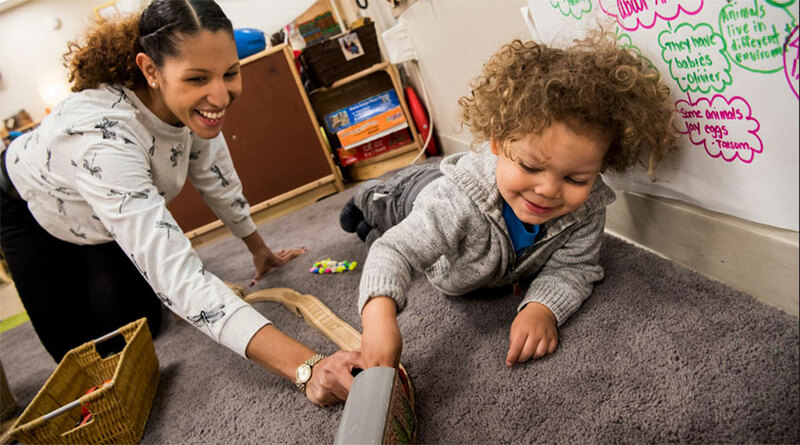 They engage in dialogue and discussions to build their literacy and language development as they develop their speaking, listening, and other social and cognitive skills. Our program focuses on helping children enhance their communication, appreciate the perspectives and opinions of others, and acquire an enthusiasm for books and stories. We do this through a variety of age-appropriate techniques and activities. 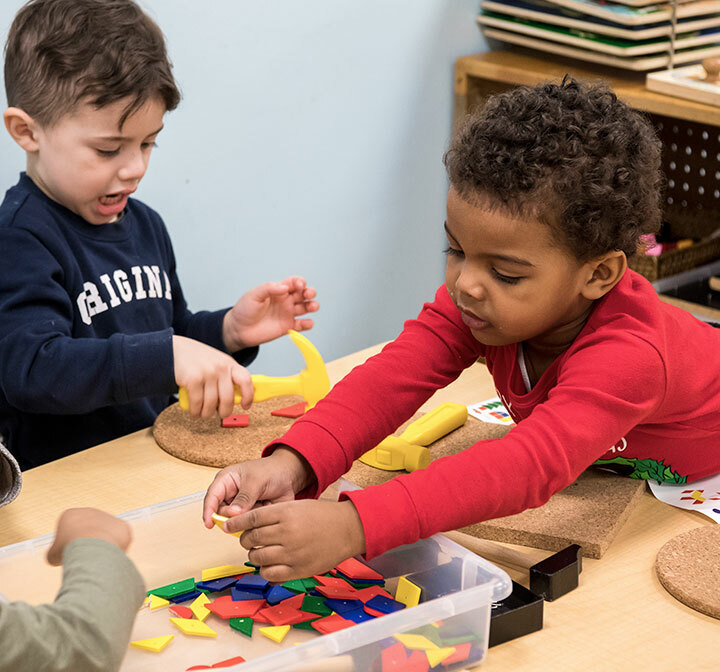 Concrete and active experiences in math provide a solid foundation from which children can build an understanding of abstract mathematical ideas. 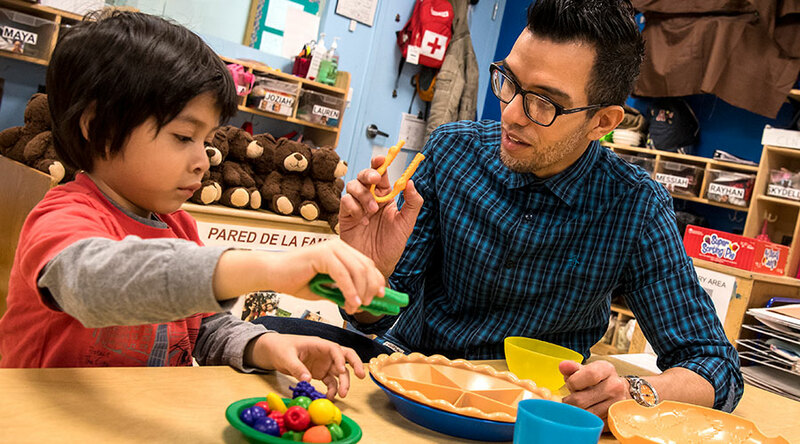 Preschoolers work with materials such as unit blocks, pegs, pegboards, pattern blocks, Unifix cubes, dice, and woodworking materials. Teachers plan daily activities that support children in developing important basic mathematical concepts. This might include one-to-one correspondence and counting, numerical relations, ordering and sequencing, sorting and classifying, geometric understandings about space, volume and shape, measurement of size, weight, time, and temperature, patterns, and estimation. Science helps children make sense of the world around them. 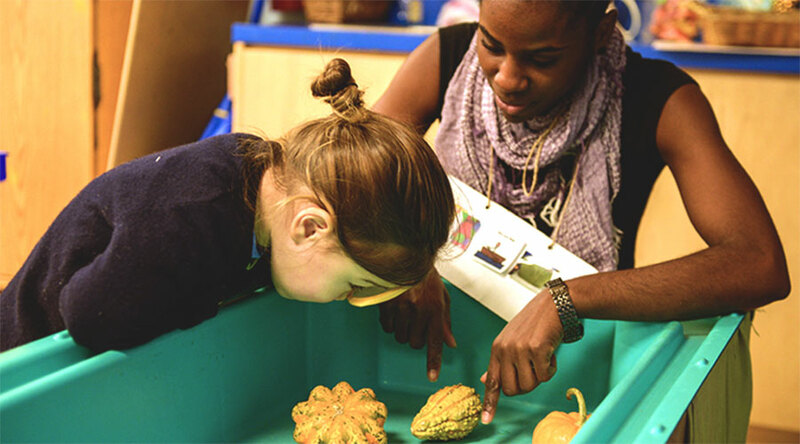 At Head Start, science is integrated into everything children do during their school day. Teachers encourage children to develop an attitude of respect for nature and their surrounding environment. Children record, order, categorize, generalize, discuss, and make predictions based on their observations of materials in their natural environment. They also explore transformation, cause-and-effect relationships, and functions. All children need opportunities to move their bodies. Young children do so constantly as they experiment with what their bodies can do. Our curriculum encourages children to explore their own movement. 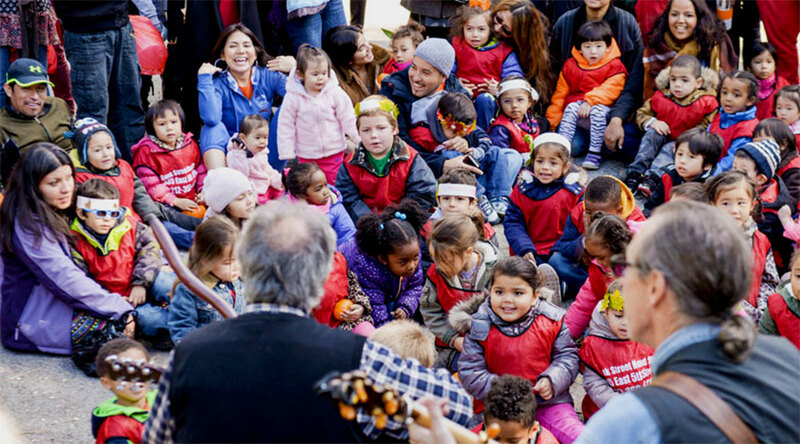 They will also have the opportunity to explore sounds and rhythms with drums, tambourines, xylophones, maracas, and other non-pitched musical instruments. Art activities are geared toward each child’s interests and skills. They are encouraged to experiment freely, with few limitations, to increase their understanding of art as a medium. 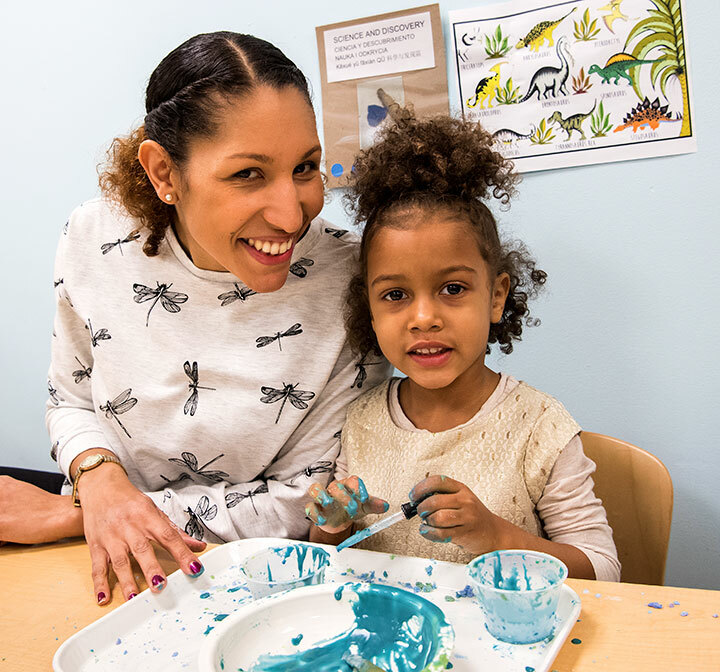 Repeated exposure to basic materials of paint, clay, and collage enhances their ability to use different media and materials in a variety of ways for creative expression and representation. Our children connect with the world beyond our classrooms every day. Inspired by the children's home and multicultural community experiences, our teachers work to reflect those lived experiences within our classrooms. Here, the Director of the Head Start program plays music for the May Day celebration. A teacher uses picture cards and outdoor objects to support language development.